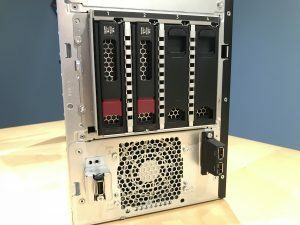 HPE was kind enough to send an ML110 Gen10 my way to review, no strings attached. So, I wanted to get to know this server, and spend some time with it. From the hardware to the management software, and firmware updates, this was a fun server to get hands-on time with. Starting around the G3 generation is when HPE (then HP) servers started looking stylish. 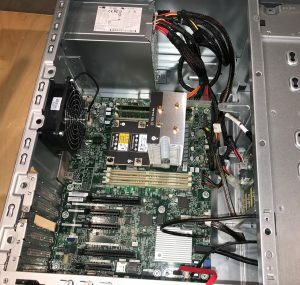 This new ML100 Gen10 is no exception and is by far the best-looking server I’ve seen. 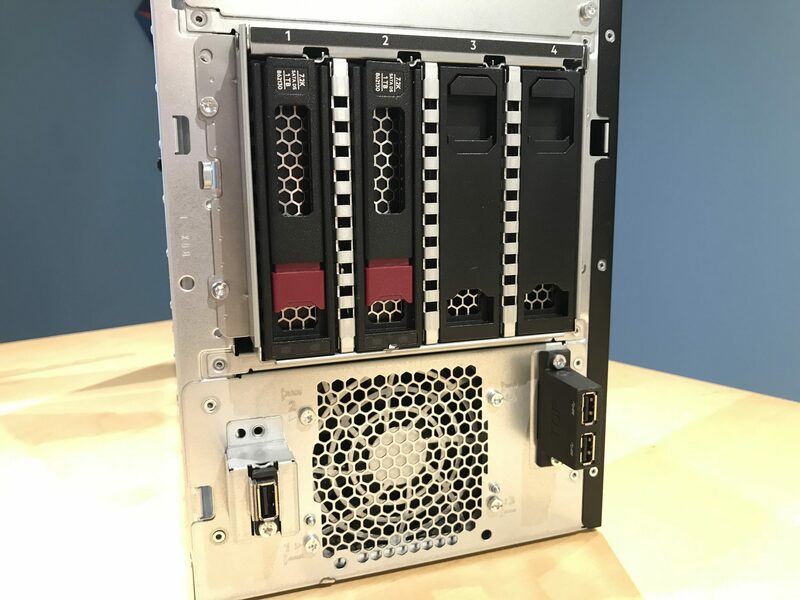 While looks don’t matter when it comes to selecting a machine to serve a purpose, HPE seemed to realize that this SMB focused server would likely sit visibly in open office spaces, as a lot of small businesses don’t need a server closet, let alone a server room. Traditional metal sides in a semi-gloss black, with a sleek plastic front panel. Front and center is the HPE logo, a shiny green rectangle among a sea of ovals cut into the bezel. The ML110 was switched over to a slimline CD drive instead of a large 5.25 inch drive, and in my case, a blank panel. At the bottom is Hewlett Packard Enterprise, along with Proliant ML110 Gen10. 2 USB ports, and a USB iLO port. Last, the genuine Intel Xeon inside sticker. Inside, the ML110 has plenty of room for expansion with 5 PCI-E slots. Cooling is handled by a pair of large and quiet fans, 1 in the front and 1 in the rear. I’ve had the server sitting on my desk beside me, and it is barely audible. 2 shrouds cover the PCI-E slots and the CPU and RAM, ensuring proper airflow. The ML110 server contains a single socket, populated with an Intel Xeon Silver 4110 CPU. This Xeon processor boasts 8 cores at 2.1Ghz, with Hyper-Threading, totaling 16 cores. Supported CPUs are the Intel Xeon Scalable 5100 series, 4100 series, and the 3100 series, ranging from 4 to 14 cores. Given that Intel processors now can have high core counts, the need for multiple sockets in a server is less. I see quite a lot of single socket servers at customer sites, especially with vSAN configurations, as it allows for more scale out, while maintaining a low licensing count. Scaling out a vSAN cluster has many benefits, especially when disk space is the limiting factor of a cluster. 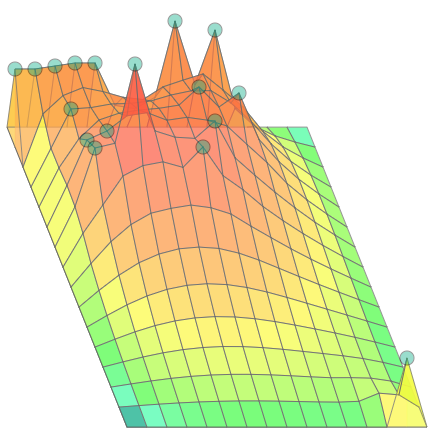 Advanced ECC is a step above standard ECC, allowing for all single-bit failures, and some multi-bit failures, to be corrected without system downtime. This is the default setting for the ML110 Gen10. 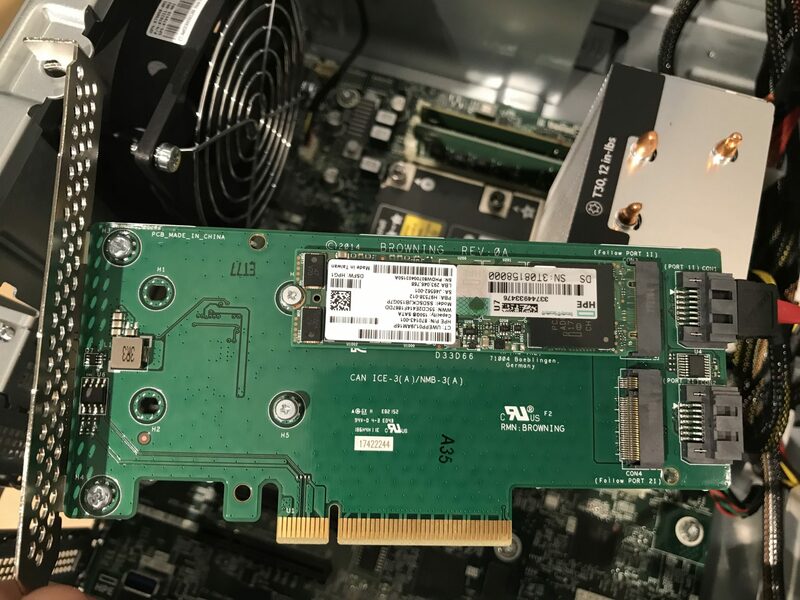 Online Spare is straightforward – one DIMM slot houses a stick of RAM that is used as a “hot-replacement” for a failing DIMM. If correctable memory errors occur over a set rate, the server copies the contents of the degraded stick of RAM, and activates the spare in it’s place, deactivating the failing slot. Since the server has a single socket, Intrasocket (as opposed to Intersocket) Mirroring can be configured. When enabled, up to 3 DIMM slots are available for OS consumption, while the remaining slots house RAM that contains an online copy. (Think RAID one for HDDs) Whereas the Online Spare option needs to copy the RAM content to the spare DIMM, Intrasocket Mirroring does not, as each DIMM has a dedicated spare with identical contents. A3DC. While this would be a cool name for a tech band, I suspect that is not the case. I admit, I’m not familiar with the term, and I couldn’t find any information on it. 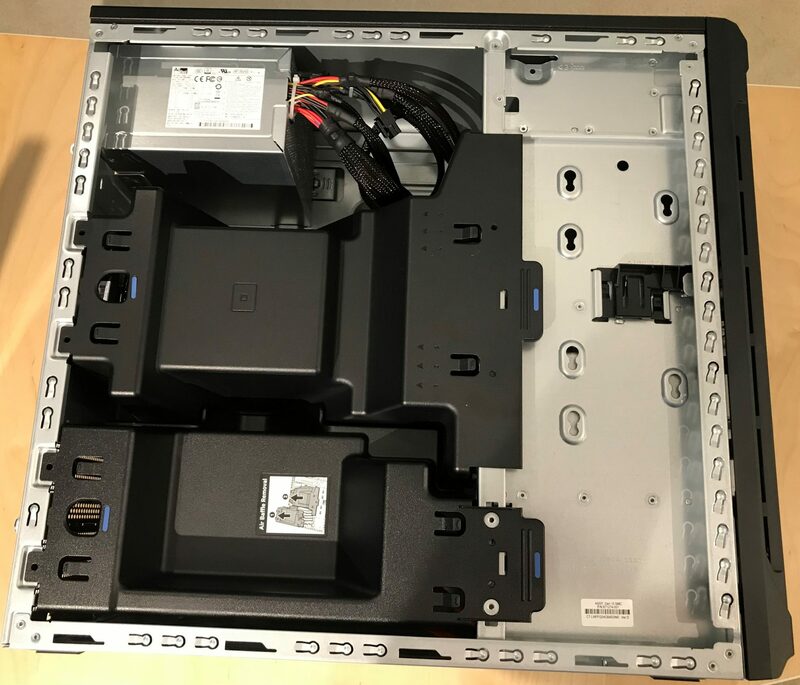 The ML110 Gen 10 comes with a couple storage options. Onboard are a total of 10 SATA ports; 2 x 4port links, and 2 x 1 port links, all 6Gb/s. up to 8 LFF drives can be available with an optional drive cage, not included on this machine. For my test server, a single 4 bay, 3.5″ hot plug drive enclosure was included, filled with 2 x 1 TB SATA drives. A PCI-E slot was populated with an HP Dual M.2 SATA adapter, allowing for 2 M.2 SATA SSDs to be attached. Last, I was supplied with an M.2 SATA SSD, a 150GB read intensive Intel based SSD. HPE’s iLO (Integrated Lights Out) has been around for a while, and has been refined with every version. The ML110 Gen 10 comes with iLO 5, a big step up from the previous versions. A Complete HTML5 interface, with an HTML5 based console as well! 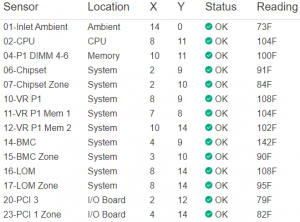 As usual, iLO allows you to remotely manage the server, regardless if it’s powered on or off. A complete inventory of the server, as well as status is a click away. 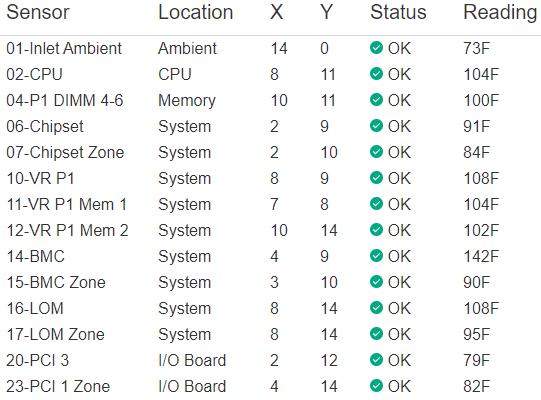 I have zero complaints about iLO, however, I did notice that for the ML110, power information is not available. Thermal information, however, is quite verbose, with a heat map of the system. Intelligent Provisioning, now renamed Always On is a nice addition. Entering this mode reboots the server into a new interface that allows you to easily provision an OS on the server. Some operating systems, like ClearOS can be downloaded and deployed automatically from the console, eliminating the need to mount a downloaded ISO. Always on also allows for easy firmware updates. Version inventory is taken, and HPE catalogs are read online, and updates can be installed with a single click. It’s really hard to find anything I don’t like about the ML110 Gen10. Adding an array controller (an option) makes is downright perfect for Small Businesses to run. 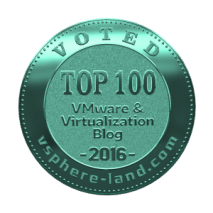 The ML110 is supported to run VMware ESXi, as well as Microsoft Windows (and Hyper-V) and ClearOS (ClearVM). 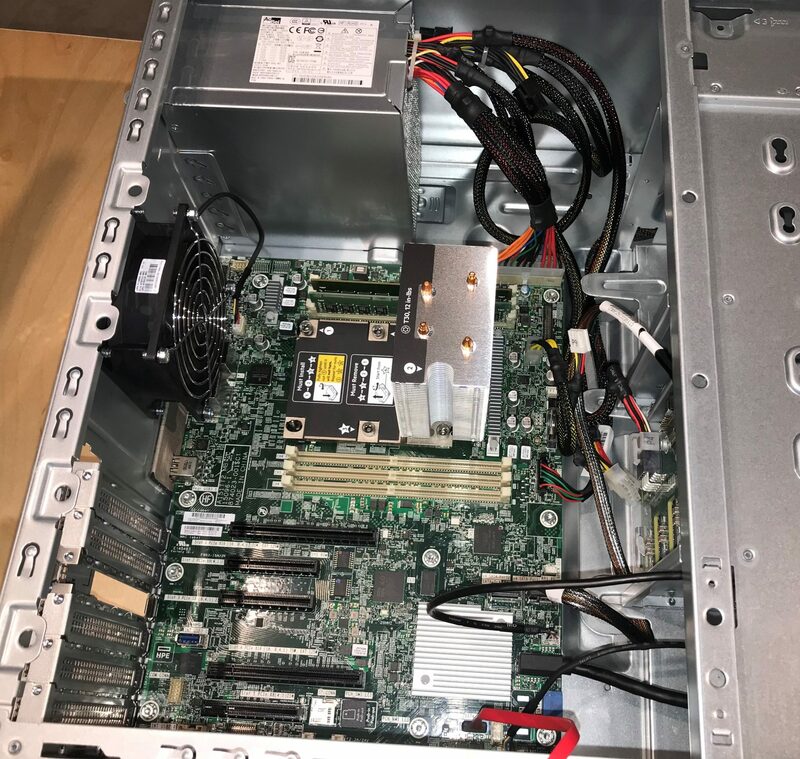 My immediate thought for this server was that it would make an excellent candidate from small ROBO deployments for Enterprise customers, not just for SMB, with the strength of iLO management behind it. 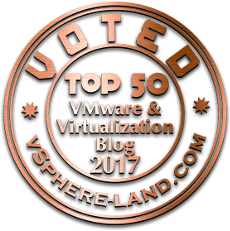 In later posts, I’ll explore running different hypervisors (VMware, Hyper-V, and ClearVM) running on the ML110 and report back. If it’s components are on the VMware vSAN HCL, 2 of these would make a perfect ROBO 2-node vSAN cluster.